Michael Clarke Duncan, star of The Green Mile and Daredevil, has died at the age of 54 while being hospitalized following a July heart attack. 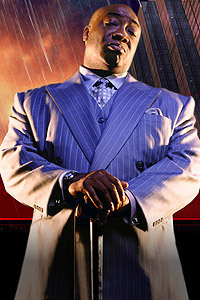 Duncan’s Oscar nominated performance as the gentle giant in the film The Green Mile received massive critical acclaim. His unforgettable performance led to a career of diversified roles and worldwide praise.